What do you prefer for entertainment these days? Sure there is TV and outdoor games to relax always. But do we get sufficient time to enjoy Television the way we did when we were kids? The answer is no. Even if we do get, the programmes aren’t captivating to keep us arrested to it. We get a few giggles here and there and suddenly a change of mind and we flip channels; sometimes we even develop a deep aversion to it. That’s the reason we see people shunning the traditional way of entertainments like TV, Games and try more sophisticated source of entertainment like Netflix, Amazon Prime, and online/console gaming. In these tough times, there is a new source of entertainment that is rapidly gaining a strong foothold in the entertainment industry. Confused about what game we are talking about? Of course, it is online card gaming websites. Over the past few years, many online rummy sites have sprung up and have been attracting a lot of players. One may wonder what might be the reason behind the appeal of this game. Well, rummy is a skill game that anyone regardless of their caste/creed/gender/barriers can play. The game rules are so simple that it requires just an hour our two to internalize it and start playing. 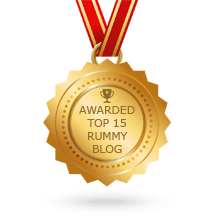 The other reason why there is a huge following for rummy games is the incredible money spinning opportunity it gives. A player can start playing at an online rummy site virtually with no cash in his hands. In that way, players have a good opportunity to build his bankroll. But always remember cash games are where the real money is in online rummy. The more you play cash games, the more benefits you avail. 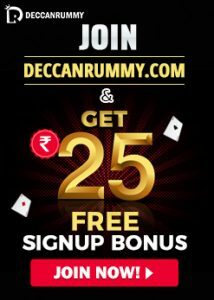 At DeccanRummy.com, we have a wide range of cash games available under all rummy variants. The benefits of cash tournaments are endless. Not only do you get a chance to win huge but also additional benefits like Loyalty points and Deccan Rewards. Our New Year leaderboard contest is all set to run from Nov 1 – Dec 25 wherein the top 15 players will be rewarded with prizes. A flurry of awesome prizes from an all-expense paid trip to Pattaya to expensive gadgets like iPhones to gold coins are up for grabs. The Pattaya trip is reserved for players who secure the first 3 positions. Similarly, for losses, leaderboard points are calculated as (Losing amount/200) eg: If you lose a Rs. 1000 cash rummy game, your losing amount would be Rs. 900 (after rake fee deduction), here you will secure Rs. 900/200 = 4.5 Points. 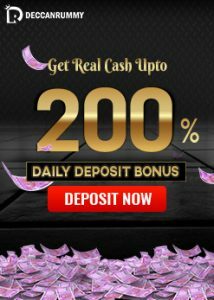 The simple idea is to continuously play high-stakes cash rummy games during this promotion period so that you secure adequate leaderboard points to remain in the hunt. This is an incredible opportunity for poker enthusiasts out there to celebrate their New Year in the most awesome way possible. 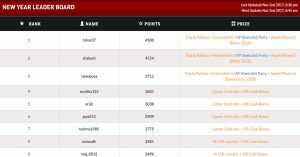 The other wonderful thing about playing cash games apart from gaining this leaderboard points is that players get automatically qualified for Deccan Rewards. There are some super-hot offers available at present under Deccan Rewards that you can check in our website. With Deccan Rummy one won’t go home empty-handed as you are handed over multiple opportunities one after the other. From high-value cash tournaments, freerolls, Trips to exotic destinations, and leaderboard prizes on offer, players have multiple options to win cash. So, if you want to visit Pattaya for New Year then do not postpone, jump into action right away! To know more about the New Year leaderboard promotion, read the blog entry or check our promotions page. How to earn Leaderboard Points?